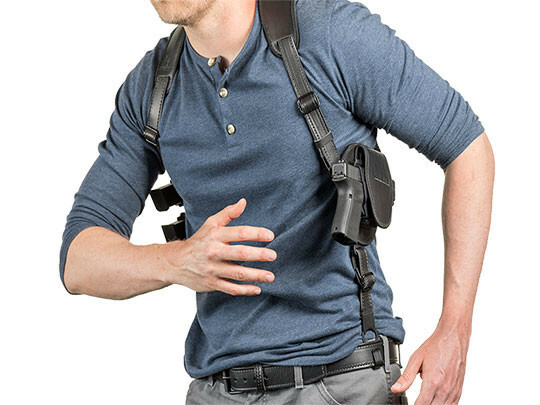 Carrying with an M&P Shield 40 M2.0 shoulder holster is actually a brilliant idea. If you think about it, shoulder carry with a subcompact makes more sense than it does with a full-size. The pistol is more easily concealed and there's less weight to deal with. That makes for a fantastically easy carry. 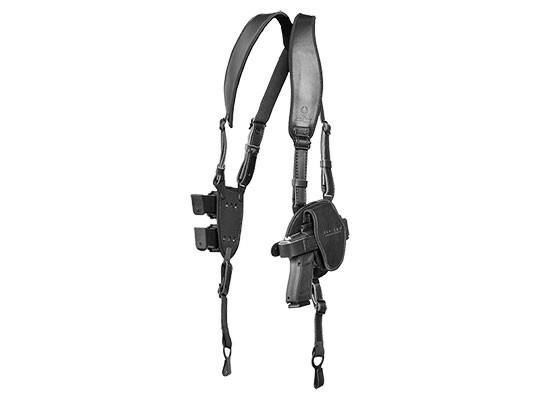 If you've got a good shoulder holster for M&P Shield 40 M2.0 pistols to carry with. 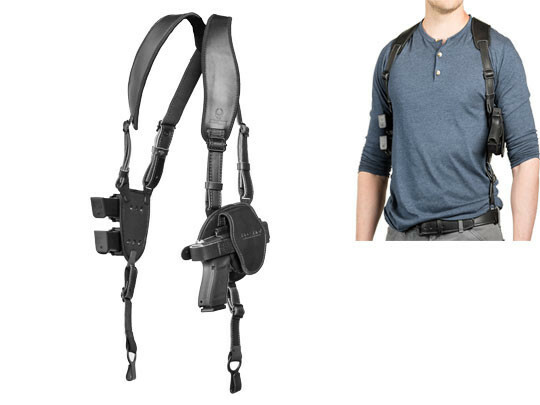 We created a shoulder holster design that will carry more comfortably, is more customizable and offers better fit and retention - while doing so at a competitive price - than many other shoulder holster designs on the market. 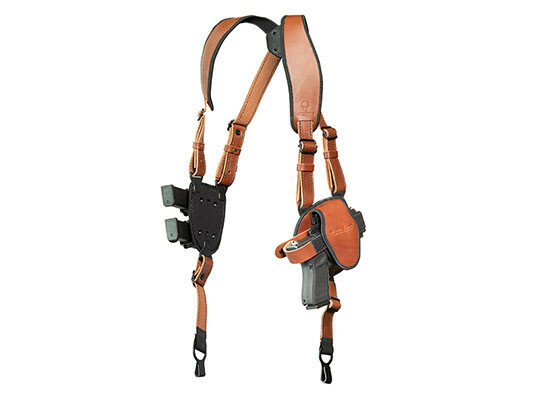 The straps of our Shield 40 M2.0 shoulder holster are adjustable, so you can find the perfect setting to fit you. The straps articulate independently with the clover harness, finding a natural fit and moving with you. The shoulder straps are padded with our CoolVent neoprene for greater comfort, as are the magazine carrier and holster base pads. 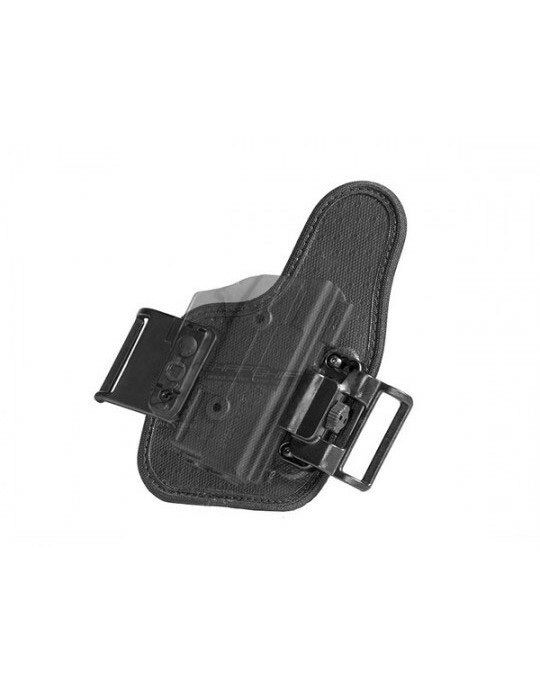 Belt hooks distribute the weight more evenly and keep the gun tight to the body. 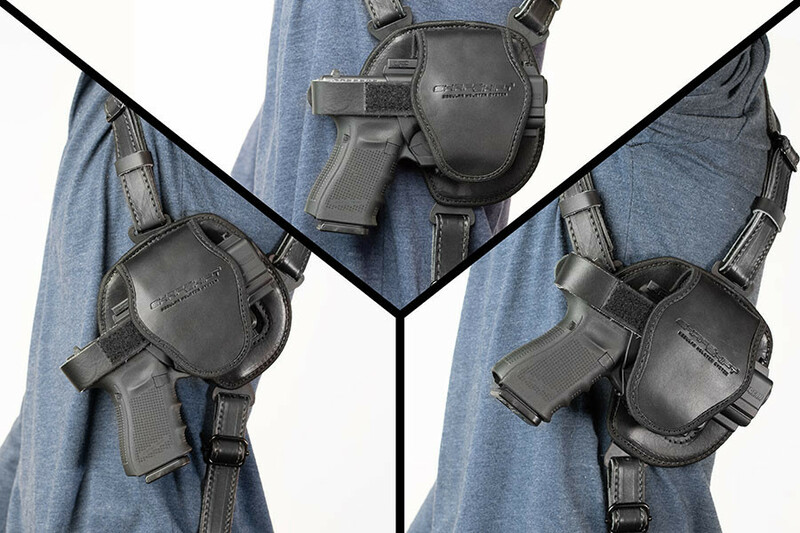 The holster is custom-molded for the Shield 40 M2.0, so fitment is never in doubt with our M&P Shield 40 M2.0 leather shoulder holster. 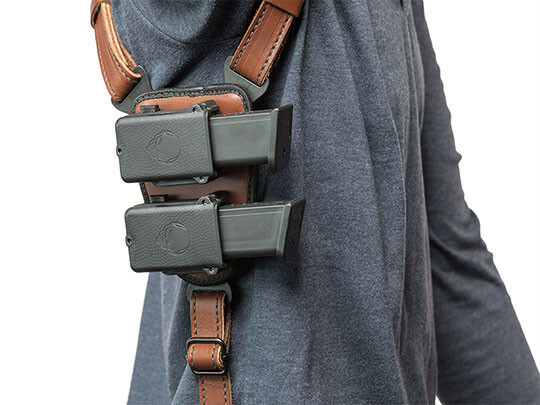 Passive retention is fully adjustable, and a removable thumb break strap is included should you wish to carry with one. 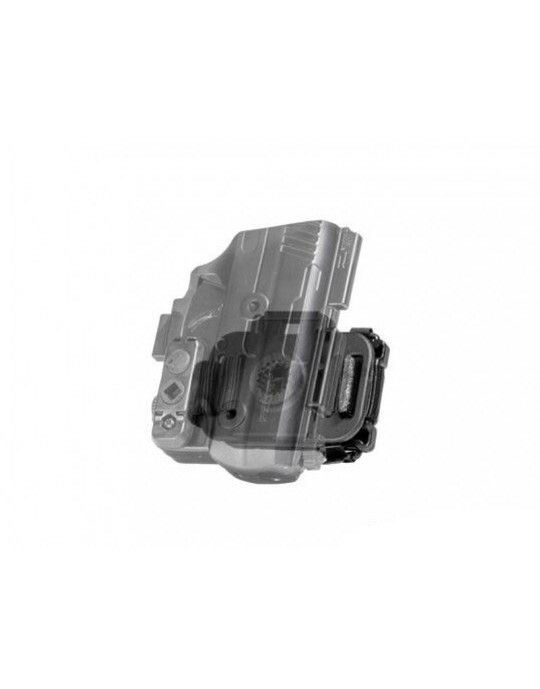 The holster can be adjusted for ride height and cant angle as well. 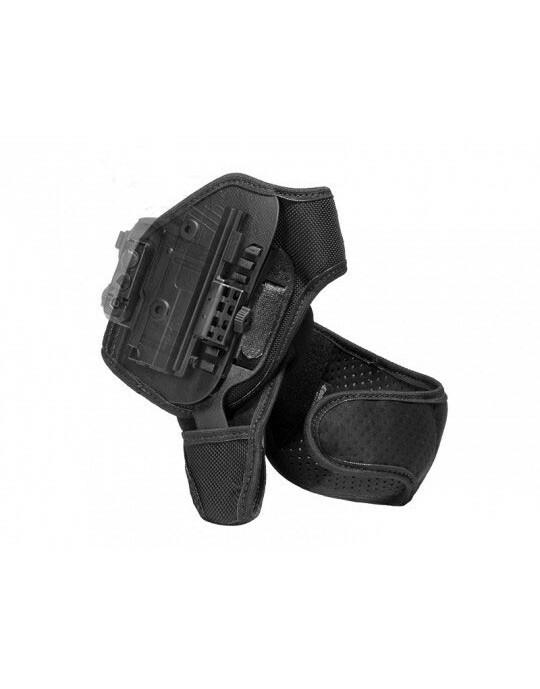 Carry as a M&P Shield 40 M2.0 vertical shoulder holster, with the gun at full horizontal or in between if desired. 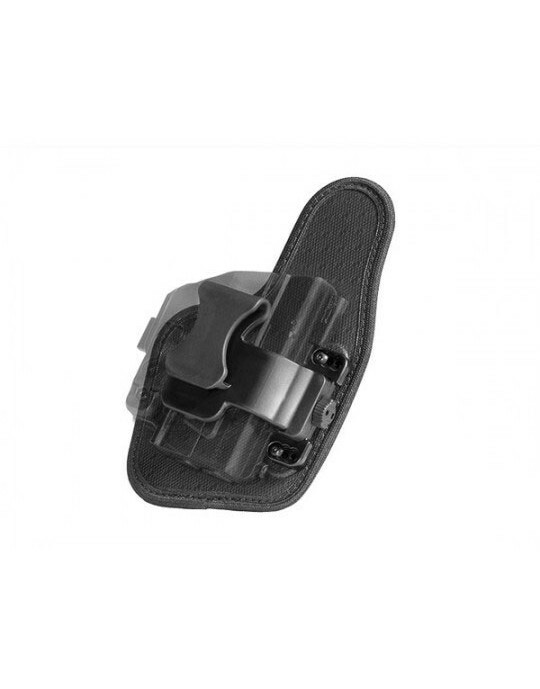 You can raise or lower the holster to find the perfect carry position. 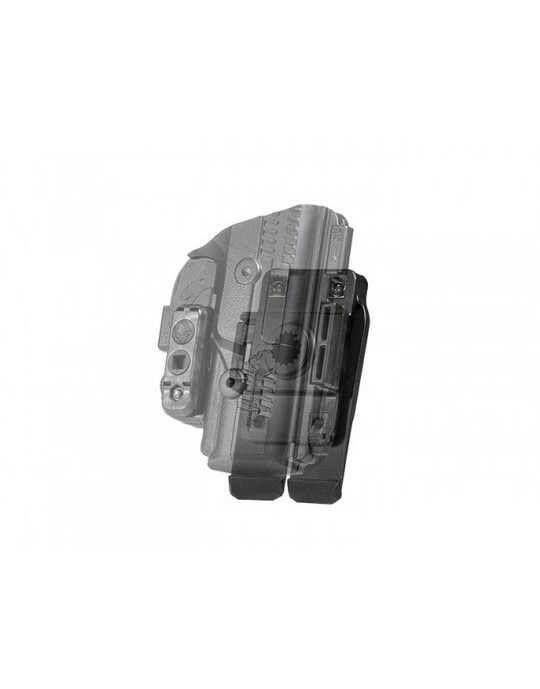 You can also attach up to two Alien Gear Mag Carriers if you wish to carry spare magazines. You also don't have to worry if you find that this just isn't the holster for you. Part of our Iron-Clad Guarantee is a 30 Day Test Drive trial period, during which you can return the holster for a full refund. 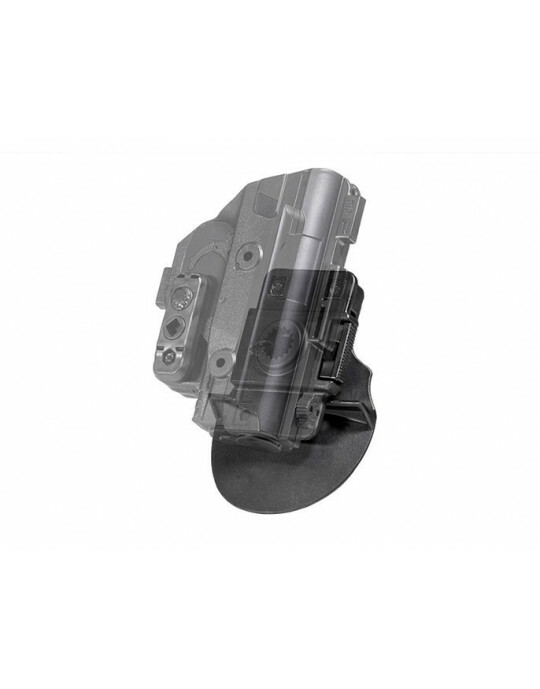 We also fully warranty the holster for life, so any defects or damage will be fixed or you'll get a brand new holster as long as you have it. This is how shoulder carry was always supposed to be.